Use the following filters to narrow the displayed press releases down. 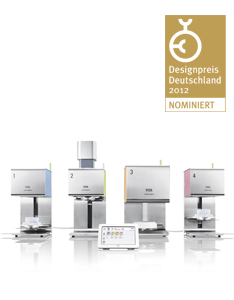 On the IDS 2017 in Cologne, VITA Zahnfabrik will present new process-safe solutions for highly esthetic results as well as efficient and smooth clinical workflows. On the IDS 2017 in Cologne, VITA Zahnfabrik will present new process-safe and efficient in lab solutions for highly esthetic results. VITA's Easyshade technology for digital tooth shade determination has established itself in dental practices and laboratories for more than 10 years. To enable users of mobile Apple devices to benefit from convenient digital shade communication from the practice to the laboratory using VITA Easyshade V, the VITA mobileAssist iOS app can now be downloaded for free in Apple's App Store. With the VITA YZ system, VITA Zahnfabrik introduces a complete system by bringing together a full range of zirconia blanks with block and disc geometries for a wide variety of indications. VITA YZ HT (= highly translucent) and VITA YZ T (= translucent), along with matching system components for reliable shade reproduction, provide dental technicians with optimal solutions for precise fabrication of high-strength frameworks and fully anatomical bridge restorations from a single source. 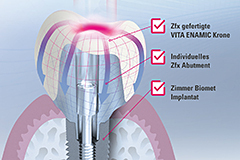 VITA IMPLANT SOLUTIONS (IS) are new CAD/CAM blanks for implant-supported restorations manufactured from hybrid ceramic, glass ceramic and composites, which VITA Zahnfabrik (Bad Säckingen, Germany) will be introducing at IDS 2015. 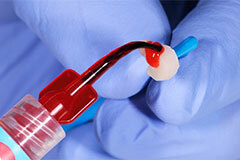 The blanks feature an integrated interface (screw canal including anti-rotation lock) for an adhesive/titanium base (e.g. 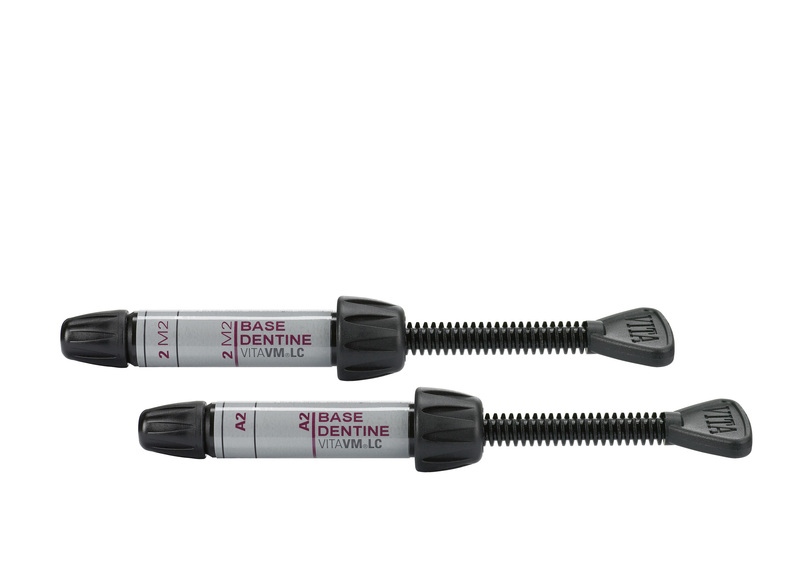 TiBase), making them compatible with the implant systems of many manufacturers. The IS blanks are available in three versions, VITA ENAMIC IS, VITA SUPRINITY IS and VITA CAD-Temp IS. VITA New Generation users value the modular firing system for its flexible configuration that facilitates individual solutions. Now, this unique furnace concept has been further developed, offering more functions and greater comfort in use. The optimized system includes three premium ceramic furnaces, a vacuum pump and various control units. VITA Zahnfabrik (Bad Säckingen, Germany) is expanding its VITA VM LC line of light-curing microparticle-composites. In addition to the paste version, low-viscosity VITA VM LC flow additional materials will also be introduced. Because of their excellent consistency, they are ideal for customizing and intensifying the shade of the cervical area and for delicate, esthetic modelling in the incisal area. Thus, the dental technician can decide which processing method to use for each veneer according to the specific situation and individual preference: paste only or paste in combination with flow. These options open up new ways to achieve brilliant esthetics which are very close to ceramic – and always systematically! The fifth generation VITA Easyshade stands for more than just a user-friendly spectrophotometer for the objective determination of tooth shade. 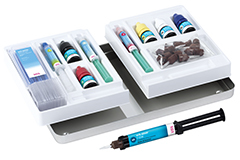 It is a complete, multifunctional system that supports dentists and dental technicians from the determination and communication of the tooth shade through to reproduction and shade controlling of the finished ceramic dental restoration. One device – a multitude of applications! An expert team of scientific developers and software designers has made this possible. In response to worldwide customer surveys and VITA's decades of experience in the field of firing technology, we have developed the VITA V60 i-Line high-performance ceramic furnace. In doing so, we focused on two central requirements - outstanding firing results over a long period of time and user-friendliness. To this end, we choose a classic, proven furnace concept that deliberately focuses on reliable firing as a basic feature, as well as offering an attractive price-performance ratio. VITAPAN PLUS is an anterior tooth assortment exhibiting a premium in VITAlity due to its translucency, form and surface morphology. 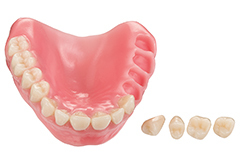 The denture teeth are manufactured with VITA MRP (microfiller reinforced polymer), a composite material with decades of proven clinical use, using the specially-developed VITA Repressing Procedure. The achieved high mechanical integrity of the tooth layers means a tooth can easily be further processed without chipping. Additionally, the very low abrasion values reflect the high strength and longevity of the teeth, which is a direct result of the combination of the MRP material and the special VITA Repressing Procedure. 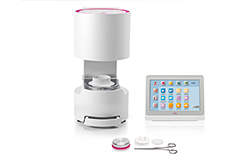 Visitors to the International Dental Show (IDS) in 2015 will be able to observe live at VITA Zahnfabrik's booth, how innovative new products and proven VITA solutions facilitate the manufacture of dental restorations. Valuable tips from experts that can be applied directly to everyday routines in the laboratory and dental practice will make a visit to the IDS VITA booth indispensable. At the International Dental Show in Cologne, Germany, VITA Zahnfabrik (Bad Säckingen) will be presenting new developments and enhancements with regard to teeth, veneering materials and CAD/CAM restoration materials, and in our range of furnaces. 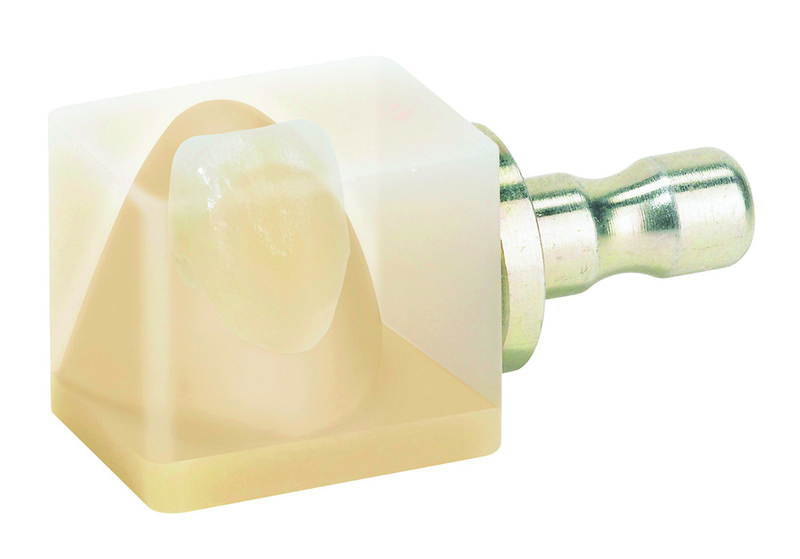 The vitaclinical business division will also be making its debut with the "ceramic.implant" zirconia implant. Ceramic materials that support longer modeling offer clear benefits to dental technicians, particularly in the case of large-span restorations. If the material also remains smooth during layering, without any loss of stability, then important criteria have been met for a perfect layering result. VITA MODELLING FLUID RS surpasses these requirements, as well as ensuring maximum process reliability thanks to lower shrinkage during firing. 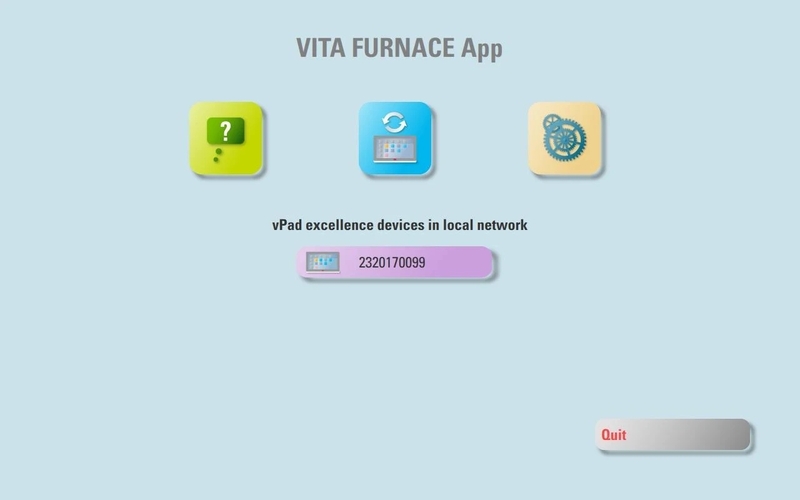 VITA Zahnfabrik is the first manufacturer of dental firing, press and sintering units in the world to have its current range of furnace models tested for energy efficiency by TÜV AUSTRIA Deutschland GmbH: all furnaces were awarded the "INNOVATIVE ENERGY PRODUCT" test certificate that distinguishes industrial products with pioneering energy-saving technology. Carestream Dental and VITA today announced that they are entering into a new partnership to support their respective restoration offerings. Carestream Dental’s CS 3000 milling machine has earned approval from VITA to work with the company’s VITABLOCS® Mark II restorative, a fine-structure feldspar ceramic material. Officially launched as part of the CS Solutions CAD/CAM restoration portfolio, the CS 3000 enables practitioners to mill aesthetic, anatomically accurate restorations in a single appointment. 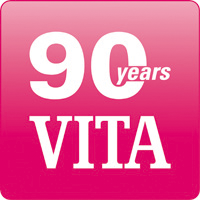 90 years as a leader in innovation – 30 years of VITA VACUMAT. Not one but two anniversaries inspired the development of a Special Edition of the premium ceramic furnace VITA VACUMAT 6000 M. This device, which has been optimized in terms of design, will be available from April in eight fashionable colors, supporting custom configuration with a variety of accessories. The VITA Zahnfabrik success story began 90 years ago. Established on July 17th, 1924 in Essen, Germany, and based in Bad Säckingen since 1943, this company has now been family-run for three generations. With the development of the Helios tooth in the 1920s, the foundation was laid for VITA's areas of expertise ‒ denture teeth, shades and ceramics. At the time, the Helios layering was revolutionary, providing the starting point for today's VITA teeth: natural shade gradients with a structure that replicates human dentition by combining a dentin core with an enamel and incisal layer. This development enabled an unprecedented level of natural esthetics, paving the way for all VITA innovations to follow. 90 years ago in 1924, the foundation was laid for the start of VITA Zahnfabrik H. Rauter GmbH & Co. KG. Today, the fourth generation, family run company not only has a rich past, but continues to be a pioneer, breaking new ground with sustained innovative power. For 90 years, VITA Zahnfabrik has been combining tradition and experience with revolutionary ideas and inspiring dynamism. The secret of our success lies in the consistent, systematic development of our core competencies within a framework of clearly-defined business divisions combined with strategic collaboration with selected partners in order to establish a strong network. 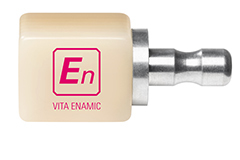 VITA NP BOND provides the user with greater reliability, enabling impoved esthetics when it comes to veneering non-precious metal alloys (NP: non-precious). 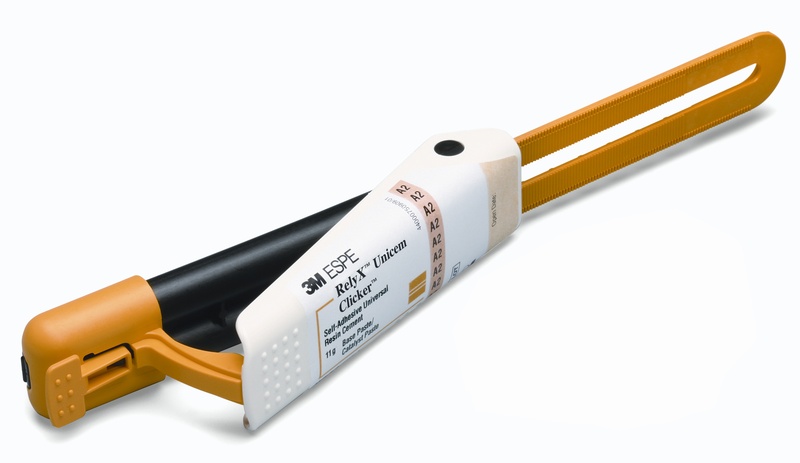 Through reliable bonding between the metal framework and the veneering ceramic, the new VITA NP BOND material helps prevent errors occurring as a result of CTE tension between the alloy and the ceramic. 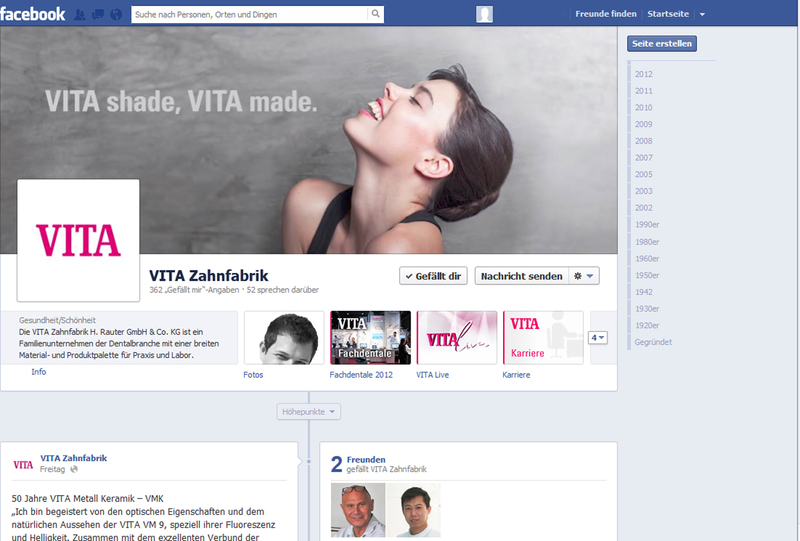 Once again, VITA Zahnfabrik has shown how the company's full-service philosophy benefits the user. As well as the complete range of VITA SYSTEM 3D-Master shades, the light-curing micro-particle composite VITA VM LC will also be available in five additional classical shades in time for IDS 2013: B4, C1, C4, D2 and D4. This means that this innovative veneering material will be provided in all VITA classical A1 – D4 shades, with the exception of B1. 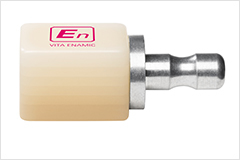 A new effect enamel material (EE12) will also be available, which can be used as an alternative to ENL. For less translucent results, VM LC EE12 can also be used as an alternative for incisal applications (bleach shades are excluded). Reliable adhesion between metal and composite materials is ensured by the Alloy Primer from Kuraray. This primer has been tested and approved by VITA. 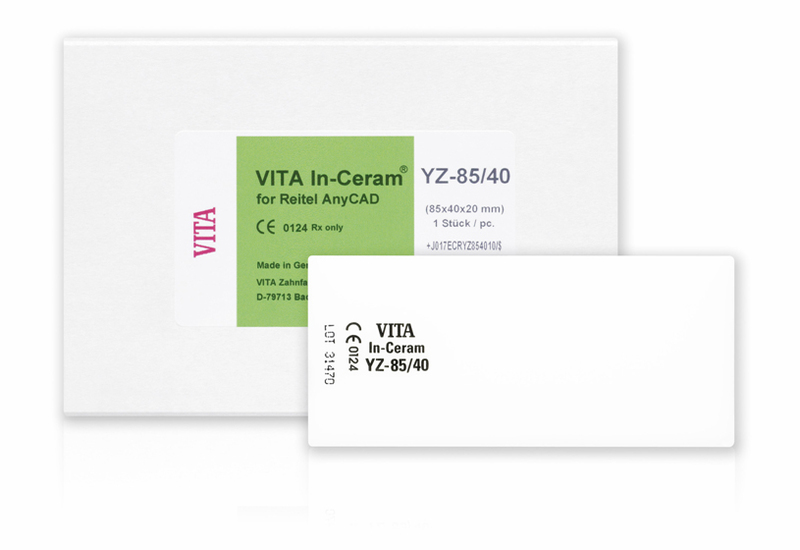 In March 2013 the DISC product line for the partially yttrium-stabilized zirconium dioxide material VITA In-Ceram® YZ will be extended to include additional variations for dental CAD/CAM processing. The new VITA In-Ceram YZ DISC Color and VITA YZ DISC HT will be launched. 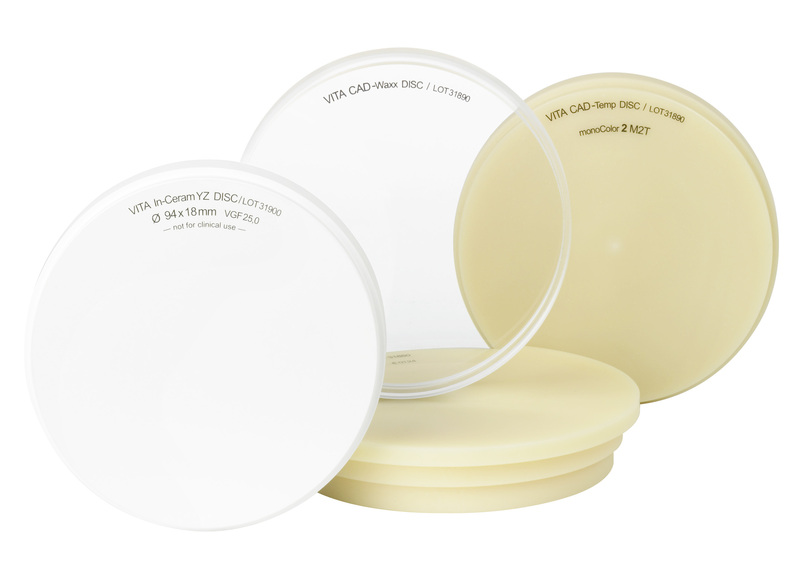 With these new discs available in VITA's proven zirconium dioxide, VITA meets current user requirements and facilitates the fabrication of high-quality restorations featuring patient-specific esthetics. 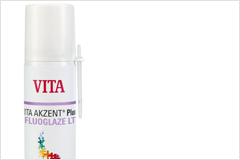 VITA AKZENT® Plus ‒ new stains with a distinctive character for a head start in versatile, user-friendly and cost-effective restorations. Speed, reliability and objectivity guaranteed – and last but not least, incredibly easy to use. That's shade determination with VITA Easyshade. In fact, the fourth generation of the popular electronic shade-taking device even goes one better: with VITA Easyshade Advance 4.0 and its practical new features, dental surgeons and dental technicians can enjoy a perfect balance between superior technology and proven system functionality. With the zirconia reinforced lithium silicate ceramic, in short ZLS, VITA Zahnfabrik has developed a new generation of glass ceramic materials in collaboration with Degudent GmbH and the Fraunhofer Institute for Silicate Research ISC. The new glass ceramic is marketed by VITA Zahnfabrik under the name of VITA SUPRINITY. With a zirconium dioxide content around ten times that of traditional CAD/CAM glass ceramic in combination with a particularly fine-grained and homogeneous structure, ZLS ensures excellent mechanical properties. The high strength and reliability of the new material gives CAD/CAM practice and laboratory users a wide range of possibilities for application. 13.03.2013 | VITAPAN PLUS®: "Streamlined assortment, maximum variety"
The modern VITAPAN PLUS line of anterior teeth is based on this principle - the idea behind the product line is to offer a balanced selection of tooth moulds which can be combined with a total of four different lines of posterior teeth. Nine new additional tooth moulds and hence the complete range of VITAPAN PLUS teeth have been available since January 2013. On their Facebook page, the traditional company located in Bad Säckingen (Germany) offers their customers an additional interactive communication channel for direct dialogue. restorations in areas where space is limited. 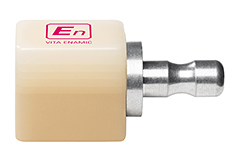 VITA ENAMIC will be available from January 2013. From October 2012, the range of shades available for the VITAPAN PLUS anterior line will be extended. This modern anterior line, a customer-oriented enhancement of the popular classic VITAPAN, will be available from October for the entire VITA classical A1-D4 shade range, as well as in ten shades for VITA SYSTEM 3D-MASTER. patient by offering accelerated data management that is more comprehensive than ever. Nowadays, if you want to arrive at your destination safely – whether you're driving a car or on foot – you're likely to rely on a navigation system. And it is exactly according to this principle that VITA Zahnfabrik offers a new support service on its website: The program – called "VITA ToothFinder" – makes it easier for you to select just the right anterior and posterior teeth for removable full and partial prosthetic restorations. Step by step, users navigate their way confidently to the appropriate sets. The system is extraordinarily user-friendly, guiding you through the VITA tooth concept directly to your goal. Design may not be everything, but everything is nothing without it. Design is the expression of creativity, passion, quality and expertise in a company. It gives a product its unique characteristics and unmistakable appearance. Which makes a high-calibre award in this field all the more valuable. As such, VITA Zahnfabrik is absolutely delighted to be the recipient of the iF communication design award together with Studio Laeis. It is the third time in six years that VITA has won the award. 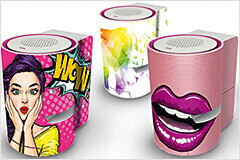 The award ranks among the foremost international accolades for outstanding communication design. 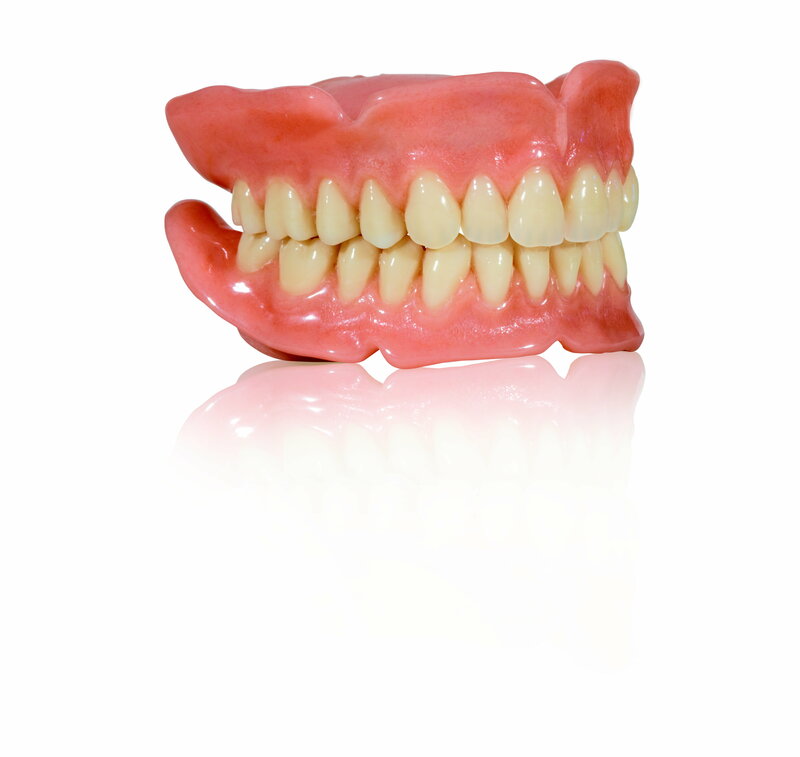 Patients who are being fitted with a prosthetic have usually been suffering for quite some time, and are very reserved when it comes to "false teeth". Will they fit? What will I look like if I laugh with my false teeth in? Will others notice I am wearing false teeth? Dentists and dental technicians have to alleviate these fears and convince patients that their new teeth are going to restore, not just functionality but also quality of life. The new firing unit of the VITA New Generation – VITA ZYRCOMAT 6000 MS – was developed especially for high-temperature sintering firings and all dental ceramic substructure materials. The fully automated, compact firing unit features a sintering chamber which can sinter up to 25 units simultaneously. Thanks to the practical one-touch, plug-and-play operation of the VITA vPads New Generation, the firing unit is ready for immediate use, and is simple and quick to operate. A new standard of “Smile in one day” service is set by the HighSpeed mode, which enables the VITA ZYRCOMAT 6000 MS to sinter bridge substructures with up to nine units and fully anatomical restorations made of zirconium dioxide or aluminium oxide in only 80 minutes with a controlled cooling phase to 400 °C. We're there! On 16 September, VITA Zahnfabrik officially opened the first CAD/CAM training centre in Schwaig near Munich. The project is one element in the overall scheme of VITA's new training concept comprising a total of 25 training centres where advanced training courses, expert panels and after-work events focusing on CAD/CAM topics will be hosted in future. With the advent of autumn, VITA is introducing a host of important new features to offer users of the VITA VM LC product range broader aesthetic design scope, enhanced user friendliness and added security. 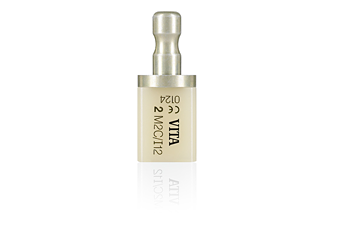 VITA VM LC is a light-cured microparticle composite for veneering fixed and removable restorations, and is part of the VITA VM veneering concept. More and more people are deciding to have their teeth whitened. However, they do not always, get the result they want. VITA Bleached Shades offer the dentist a practical tool for the reliable determination and maintenance of a whitening regimen, and are now available for the VITA classical shade guide. If you want to beat the competition, you have to be mobile, and able to think ahead and keep ahead of trends. The new course concept offers training schemes at various levels. The course system is being designed with greater flexibility to reach more customers in future. The central training programmes at the training centres in Pinneberg, Leipzig and Schwaig will be replaced from 1 July 2011 onwards by a close-knit network of venues that are close to our customers. That way our customers can save costs and travel. At the same time, the range of topics is being extended, upgraded and tailored to our customers' needs. VITA Zahnfabrik offers a compreshensive assortment of high-quality materials for CAD/CAM processing. This includes ceramics and polymers in the form of different types of monochromatic and multichromatic milling blanks in various basic shades and geometries. Even more practical options are being added to the assortment in 2011. VITA's new course programme is comprehensive, diverse and tailored exactly to the needs of its customers. In addition to numerous dental training courses and product seminars, there are workshops focusing on the future, after-business events, experience events and dental trips. New themes have been included. VITA has been operating 25 venues since July 2011, bringing training right to its customers' doors. 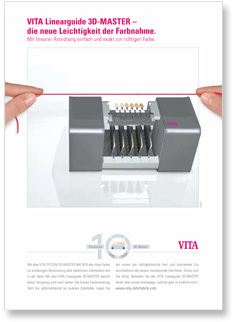 On the basis of the popular classic VITAPAN, VITA Zahnfabrik has now developed the compact anterior tooth assortment VITAPAN PLUS. Taking into account, and strictly adhering to the wishes of customers from all over the world, the result is a modern anterior tooth line, which thanks to convincing interior and exterior characteristics, is suitable for use by every prosthodontist, and for every indication. 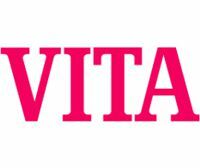 VITPAN PLUS shall be available as from May 2011, matched to the VITA SYSTEM 3D-MASTER® and VITA classical A1-D4®. The user-friendliness and performance of the proven VITA Easyshade Compact could by significantly increased after developing an entirely new software. Under the name of VITA Easyshade Advance, the dental spectrophotometer enables the exact determination of tooth shades in a matter of seconds. 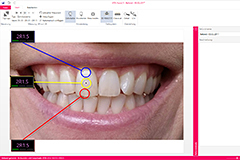 Measurement results are either displayed in accordance with VITA SYSTEM 3D-MASTER, VITAPAN Classical A1-D4 or VITABLOC shades so that tooth shade measurement has now also reached the CAD/CAM era. In April 2011, VITA Zahnfabrik in Bad Säckingen opened the doors to its research and development department to a chosen group of people. 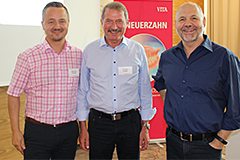 Twelve high-calibre dental experts who act as consultants for VITA around the world were offered unique insights into the quality assurance system and new technological developments in the field of ceramics in Bad Säckingen. They were also able to demonstrate their skills in practical exercises. The computer competition on VITA's booth at the IDS in Cologne proved to be quite a sensation during the fair. Attractive prizes were waiting for clever heads and dexterous fingers. The prizes were awarded by VITA's Managing Director Henry Rauter and his son, Dr. Emanuel Rauter. was awarded the internationally renowned quality seal for its outstanding design. VITA VACUMAT New Generation stands out because of the compact, ergonomic design and provides numerous beneficial features. VITA Zahnfabrik now presents the VITA In-Ceram YZ COLORING LIQUIDs for the partial or complete coloration of substructures made of the zirconium dioxide material VITA In-Ceram YZ with a new shade concept. As from immediately, the coloring liquids are available for even more efficient use in four different shade nuances: light, medium, intensive and neutral. The VITA VM veneering concept for metal ceramics, all-ceramics and resins meets the highest demands on quality – but nothing is so good that it cannot be improved. Even more flexibility could be achieved with the help of users' request so that dental ceramists can be benefit from an unsurpassed range of technical and creative options! Anyone who values aesthetics and the long-term retention of the vertical dimension when replacing lost teeth will turn to porcelain teeth to meet these requirements. VITA Zahnfabrik has been leading the field in this area for decades and offers discerning patients its VITA LUMIN® VACUUM range of porcelain teeth. 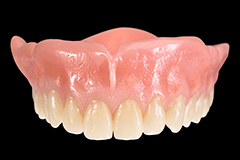 The range comprises anterior and side teeth and is suitable for all areas of removable partial and total prosthetics. 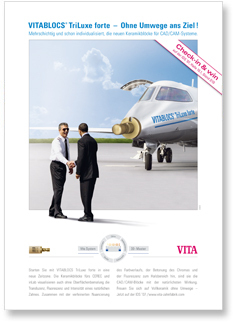 Under the motto "VITA shade, VITA made", VITA Zahnfabrik is going to present numerous new and advanced products for laboratories and practices during the 34th International Dental Show in Cologne from March 22 to 26, 2011. And the motto applies to the entire product range – from shade competence to teeth, veneering materials and machinable materials to equipment. Moreover, the computer-based prize games have almost become a legend and always provide a lot of fun among contestants. Visitors to the VITA booth can aim for the high score this year, too! You can now receive the latest dental laboratory news hot off the press and directly in your mailbox. To enjoy this free service courtesy of VITA Zahnfabrik, simply subscribe online to the new VITA Lab Newsletter. 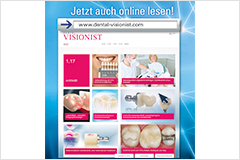 Readers can choose their subjects of interest, as the newsletter is available in three separate editions – “Veneering material and equipment”, “Teeth” and “CAD/CAM and equipment” – one or all of which can be selected. 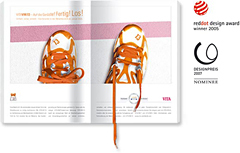 It is also published in 5 languages – German, English, French, Italian and Spanish. VITA Zahnfabrik now presents for the first time a firing system which is especially geared towards the requirements of the dental practice/practice laboratory. The compact premium firing unit VITA VACUMAT 6000 M with the “one-touch” control pad VITA vPad clinical offers unique, ergonomic comfort. This means that for instance, all programs and materials required in the CEREC practice are already factory-set. 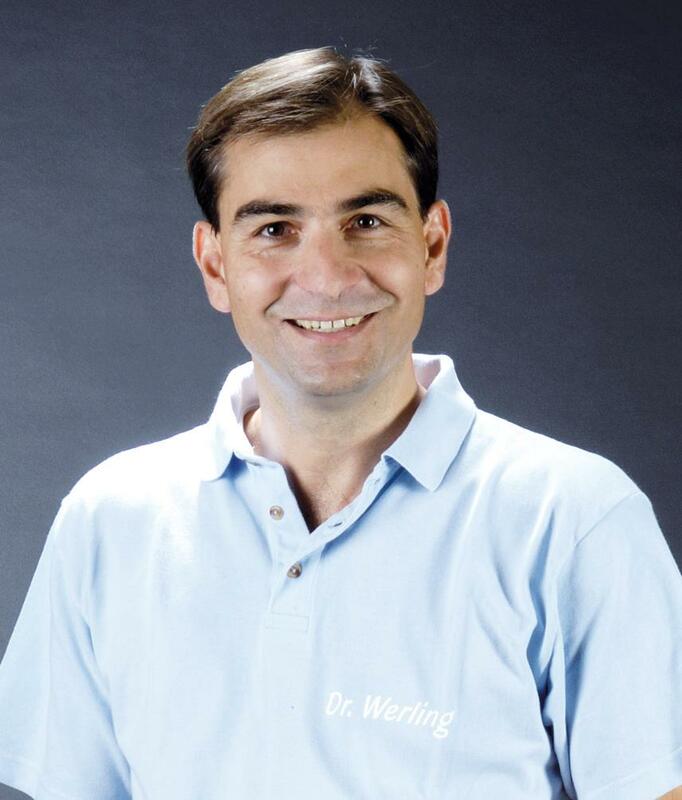 The "VIP task force Schwaig – Focus on CAD/CAM" invited dentists and dental technicians from around Germany to a very special "Round Table Workshop". Between 12 and 16 January 2011, ideas focusing on how to ensure a successful future for surgeries and laboratories were exchanged beneath palm trees, at the water's edge and in the conference room. VITA wants to continue the huge success of this event in future. That is the title of the preface provided by ceramic technician and photographer Claude Sieber for the new VITA VM limited-edition illustrated brochure "Light", in which this expert in two very different fields presents photographs that will not only amaze ceramic professionals. This publication is a limited edition and available for a nominal fee of €10. However, as part of a special introductory offer to coincide with the IDS, it will be available free of charge from VITA until the end of April 2011. 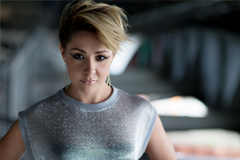 VITA has presented its image as a pioneer and initiator right from the very start. As a world leading dental enterprise, it generates a unique mix of tradition and experience with inspiring, dynamic innovative power. The secret of VITA’s success lies in the consistent, systematic consolidation of its core competencies within the framework of clearly defined business sectors, while at the same time pursuing a policy of strategic cooperation with selected partners in order to build a strong network. The innovative concept of the "New Generation" firing system for VITA VACUMAT ceramic furnaces with its modular design enables perfect, tailor-made solutions for individual users and is therefore extremely cost efficient. 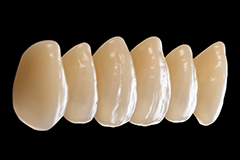 With the VITA Rapid Layer Technology, the computer-aided veneering of oxide-ceramic bridge substructures with the highly aesthetic fine-structure feldspar ceramic VITABLOCS TriLuxe forte is now possible for the first time. 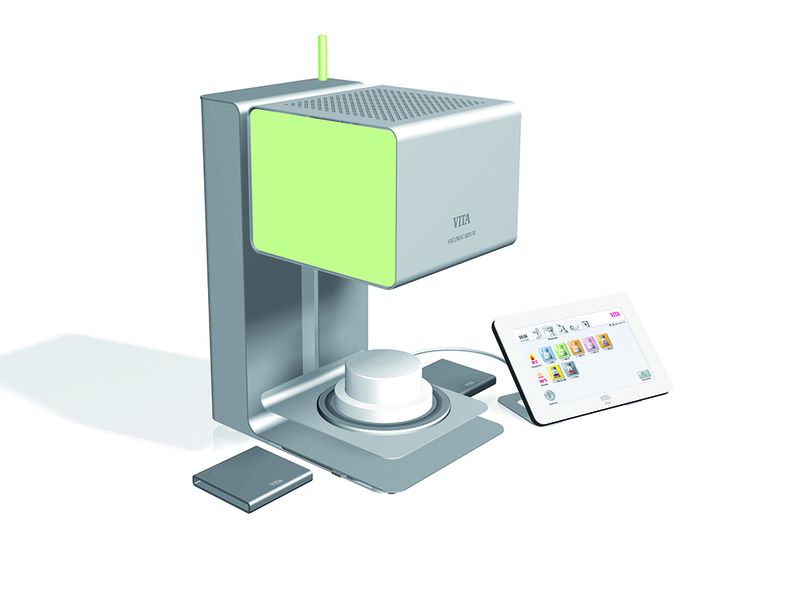 To this purpose, VITA Zahnfabrik is offering CAD/CAM users with the CEREC / inLab MC XL system the multilayer VITABLOCS TriLuxe forte in the large geometry TF-40/19 as from June 2010.
to enable the efficient production of absolutely natural-looking anterior teeth! 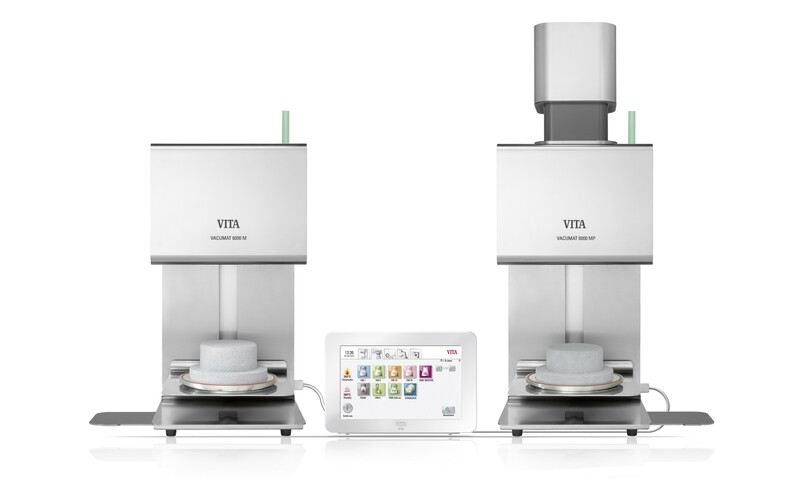 The company from Southern Germany with a long tradition in dental applications adds the new VITA DISCs in the materials of VITA In-Ceram YZ, VITA CAD-Temp and VITA CAD-Waxx to their range of products. As of immediately, VITA offers laboratories with an open CAD/CAM system the possibility to fabricate their CAD/CAM restorations in the proven VITA quality. As of immediately, VITA offers zirconium oxide blocks in the proven VITA quality to all customers who use an AnyCAD system of Reitel. The defined size and final strength of the zirconium oxide substructures, which are milled from the VITA In-Ceram YZ Blocs for Reitel under dry conditions, are achieved after completion of a special high-temperature sintering process in the VITA ZYrcomat. Then the substructures are veneered with VITA VM 9. With the innovative concept of the "New Generation" for VITA VACUMAT ceramic furnaces, VITA Zahnfabrik presented a world novelty of the dental branch at the IDS 2009. Thanks to its modular construction, the unique system makes perfect individual solutions possible, and is therefore extremely economically efficient. With the introduction of additional modules, it now offers even more flexibility. 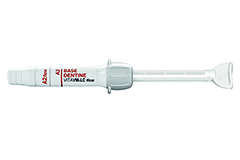 RelyX™ Unicem, the self-adhesive universal adhesive composite from 3M ESPE, has now been recommended by VITA Zahnfabrik also for the adhesive cementation of silicate ceramic VITABLOCS crown restorations. 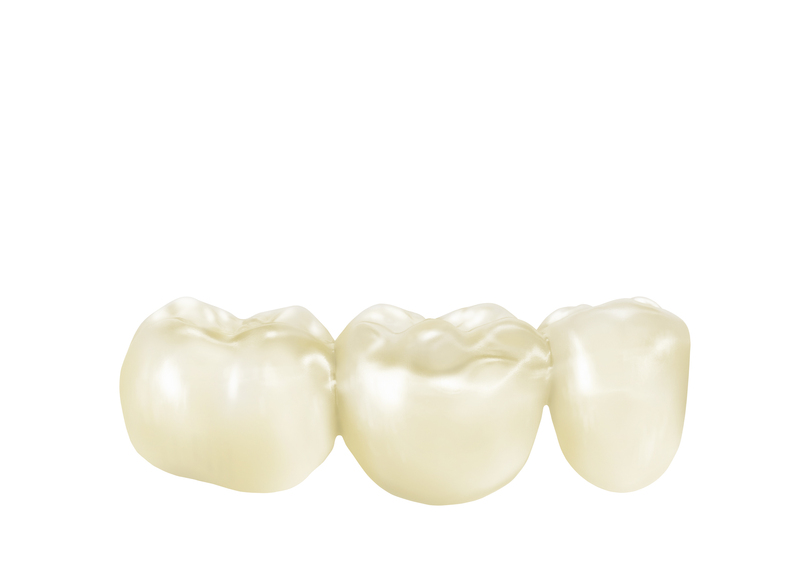 For more than eight decades now VITA has been setting groundbreaking trends in dental techniques, as in the VITA VM concept, the consistent concept for metal-ceramics, allceramics and composites. As team manager of VITA Research & Development, Dipl.-Ing. 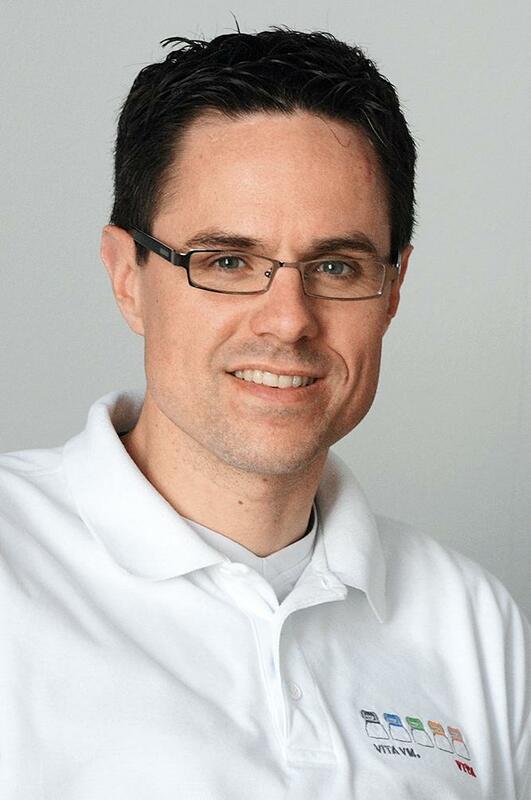 Michael Tholey made a decisive contribution to the development of this new technology. In the following interview he explains the innovative procedure "Rapid Layer Technology" and describes the advantages in comparison to the classical layering technique and other alternative procedures. 21.03.2010 | New: VITA goes iPhone! Web applications for smartphones, such as the Apple iPhone, are increasing in popularity every day. These mini programs can be downloaded from the internet to mobile phones with blinding speed, and the choice of applications ranges from games and entertainment to dictionaries and databases. 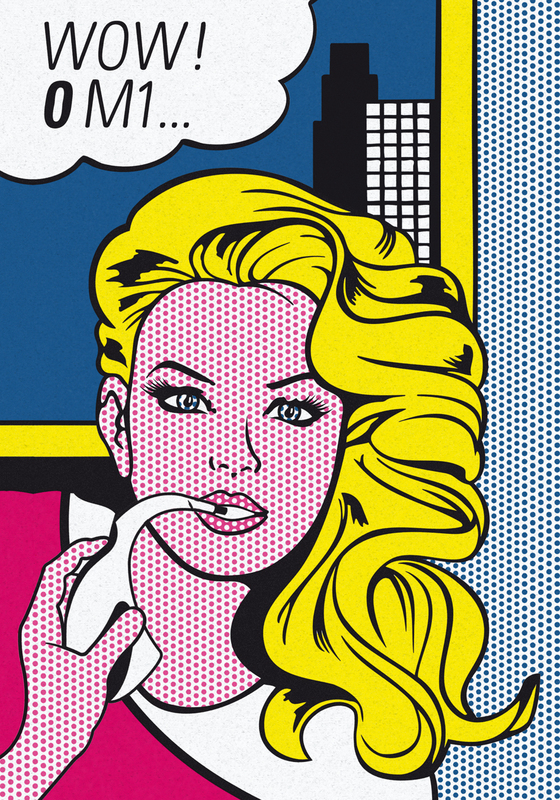 VITA's new, vivid pop art strip calendar 2011 will create a good mood in practice and laboratory. Whoever wants to bring even more colour to the practice or laboratory can order one, or why not several of these motifs as large format pop art prints on canvas. 21.03.2010 | Which advantages do VITABLOCS RealLife have from your point of view compared to other silicate ceramic blocks? The unique characteristic of these blocks is their three-dimensional structure with their dentine core and enamel coating which corresponds to the structure of natural tooth substance featuring an arched colour gradient between dentine and enamel. Thanks to the parabolic design of the dentine core, a nature-identical reproduction of the anatomical shape of the natural tooth is possible. At the same time, the 3D block structure in combination with the new CEREC / inLab software version 3.80 enables the flexible positioning of the restoration in the block in all three spatial dimensions, so that I can now manufacture chairside restorations with a high degree of individuality. 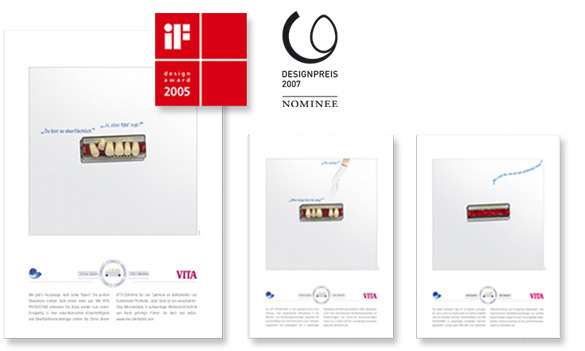 The VITABLOCS® TriLuxe forte “The direct way!” was awarded the WEFRA advertising agency’s “Best dental advert of the month” award for the month of august 2009. 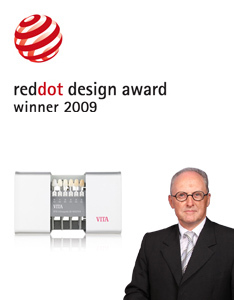 About 1,400 companies from 49 countries with 3,231 submissions took part in the 2009 red dot design award contest. 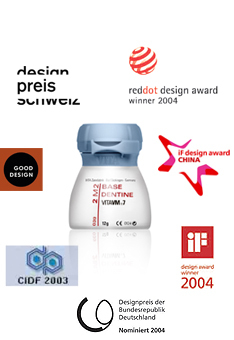 The award – symbolized by the famous red dot – is highly esteemed all over the world as a seal of quality for excellent product design. 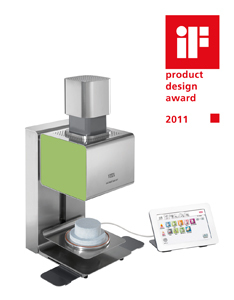 Now it is clear: The winner is… VITA Zahnfabrik for its VITA Linearguide 3D-MASTER system! Oliver Fries and Markus Passera from dreitakt.tv beamed with joy when they received one of the coveted awards on 26th September 2008. The great success could be achieved by the interactive edutainment project “BIO-Logical Prosthetics” which was produced for VITA Zahnfabrik. The application won the first prize in the “Multimedia” category! 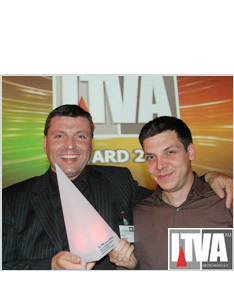 The VITA Linearguide 3D-MASTER “The new, effortless way of shade taking” was awarded the WEFRA advertising agency’s “Best dental advert of the month” award for the month of September 2008. Using the power of images to reveal the world inside each tooth is one of the aims of the visual language used by the ceramicist and photographer Claude Sieber. In creative, highly detailed and professional fashion, this unique, premium quality project showcases the variety possible with dental restorations and their capacity to fascinate. The jury was particularly generous in its praise both of the final product and of the graphic and design concepts, typography, print quality and finishing. The various editions in terms of print quality and finishing were also provided on an equally diverse variety of paper types, making each version really stand out.